Note: The office visit is by "appointment only". For the system drop off, pickup or any other office visiting purposes, please contact us first and make an appointment / arrangement in advance. Thank you! 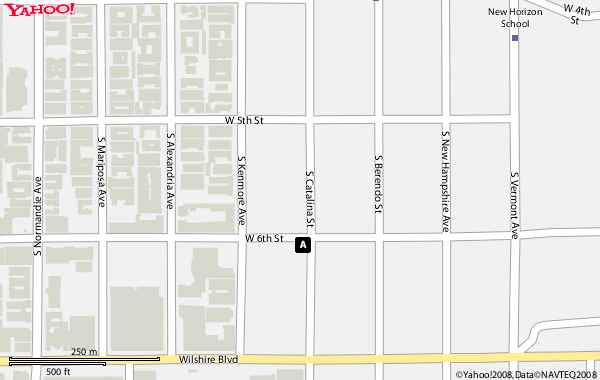 From West Los Angeles: FWY 10 East -> Exit at Normandie Avenue -> Make Left Turn -> Drive for about 10 minutes -> Make Right on 6th Street -> Make Right on Catalina Street and make a quick right turn to enter into parking structure which is on south-west corner of the building. From East Los Angeles: FWY 10 West -> Exit at Vermont Avenue -> Make Right Turn -> Drive for 5-10 minutes -> Make Left on Wilshire Blvd -> Make Right on Catalina Street and enter parking structure on left hand side of the corner of 6th and Catalina street. Note: The building is located on South-West corner of 6th & Catalina Street. The building is GREEN color and has MBC logo on it. The convenient parking is available and we will provide a free 1 hour validation ($1.50 per 15 minutes thereafter) for MEGACOM clients. Please inform parking attendant that you are visiting MEGACOM. Copyright © 2018 MEGACOM All Rights Reserved.